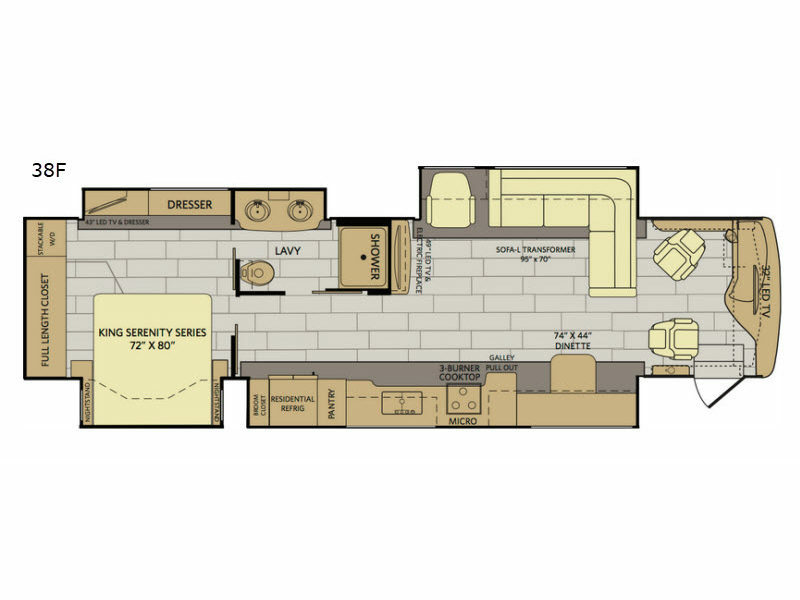 The Fleetwood Pace Arrow LXE is a class A diesel coach you don't want to pass up. This beauty can get you anywhere you dream to go as it is powered by a Cummins 6.7L diesel engine. The Freightliner Power Bridge chassis provides a sturdy framework for years of use and traveling enjoyment. 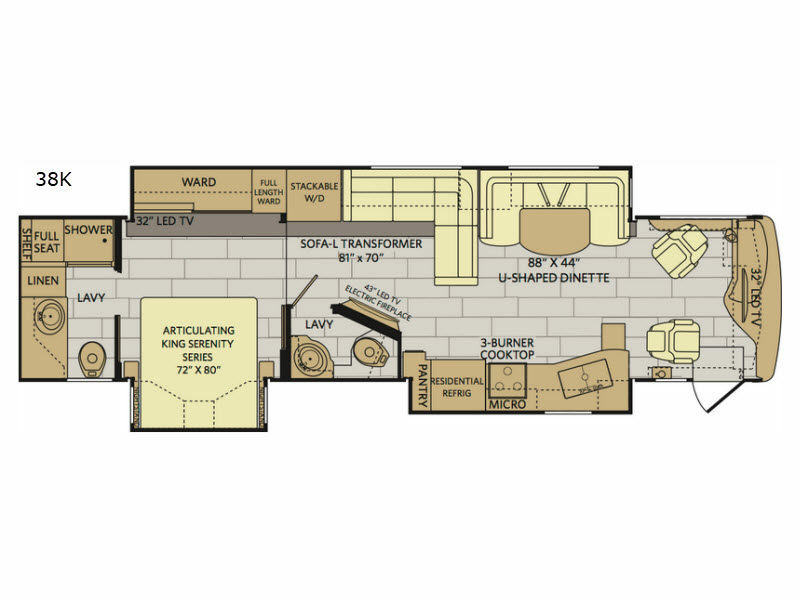 Each model features three or even four slide outs depending on your choice, plus a complete kitchen and bath accommodations including a residential refrigerator and spacious seating throughout. There is even a bunk model for the kids to enjoy. You will certainly love the impressive style and innovative design in any model you choose. Why not make a new Fleetwood Pace Arrow LXE your new dream home on wheels, and take your next journey in a beautiful class A diesel coach. Basement Storage 143 cu. ft.